I used the Saratoga Cocktail as the inspiration behind the 12 Years a Slave cocktail I made for my Oscar Cocktails series. It's an old-fashioned cocktail dating back to the 19th Century from Saratoga Springs, New York. 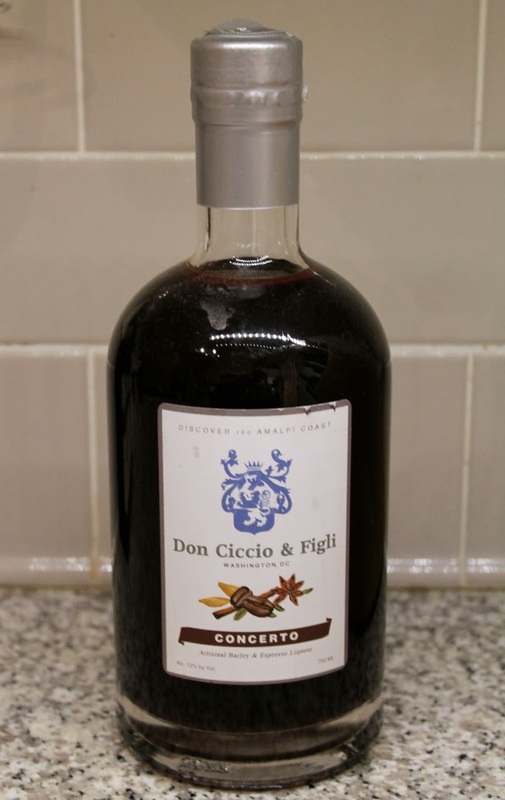 While trying to find something interesting to do with my bottle of Don Ciccio & Figli Concerto, an espresso and barley liqueur, I was paging through David Wondrich's book Imbibe and came across his version of the Saratoga. 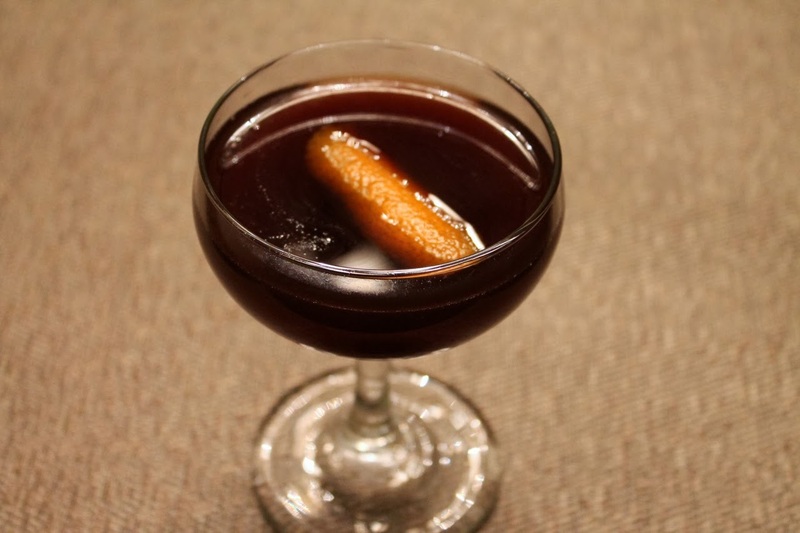 Thus inspired again, I modified the Saratoga with coffee liqueur as an after dinner drink, also substituting chocolate bitters for the Angostura and adding an orange peel. Combine the whiskey, liqueur, vermouth and bitters in a cocktail mixing glass with ice. Stir until very cold. Strain into a chilled coupe glass. Squeeze the orange peel over the drink to express its oils then drop into the glass as a garnish. I don't remember drinking this. Did I like it? I think so. We had it after dinner the night I made chicken noodle soup. It was the night I served two pretty strong cocktails.